【Shoe Charms】. 【Neck Tie】. 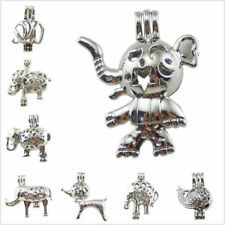 Material: Zinc Alloy (Lead and nickel free). ★ We will reply you ASAP. Product View. Size:26 18MM/1 0.7", Fit 8mm/0.3" Beads. Color: As the picture. 【Hot commodity】. Product View. Color: Silver. Condition: 100% New. Otherwise deal is final. Color: Silver. Product Overview. >>>Italy and Brazil (because of strict custom inspection). >>>United Kingdom, United States and Canada. >>>Australia, South East Asia and Asia. Otherwise deal is final. Color: Silver. Product Overview. All products are quality checked. >>>United Kingdom, United States and Canada. >>>Australia, South East Asia and Asia. Iron Wrap-around Spiral Bead Cages, Round, Silver Color. We also can source many products for you. 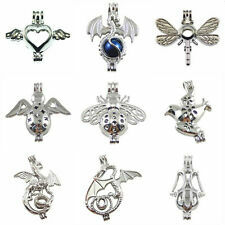 Can open the essential oil diffuser beads cage locket，add any natural stone or pearl. Making beautiful bracelets or necklaces. Seed Beads. Nail Beads. Bezel(Pendant & Link). Bezel & Cabs(Pendant& Link). Size: about 22~26mm wide, 24~36mm long, 18~22mm thick, hole: 3~6x6~9mm; inner size: 13~18mm. We also can source many products for you. Set of 5 spiral bead / pendant/ gemstone cages. 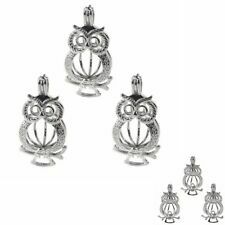 Condition: Brand new and good quality Color: Silver Material: Zinc Alloy (Lead and nickel free) Size:14*25mm, Fit 8mm Beads Quantity:5pcs. Condition: Brand new and good quality Color: Mixed Color Material: Zinc Alloy (Lead and nickel free) Size:15*12*12mm Fit 8mm Beads Quantity:10pcs. Material:Zinc Alloy. Color:White K Silver. Otherwise deal is final. Size:34 22mm(fit for 8mm beads). All products are quality checked. We will be happy to resolve any issues you may have in a cordial and friendly manner. Condition: Brand new and good quality Color: As the picture Material: Copper Size:27*19mm Beads:8mm Quantity:5PC. Condition: Brand new and good quality Color: Mixed Color Material: Zinc Alloy (Lead and nickel free) Size:21*20mm, Fit 8mm Beads Quantity:6pcs. Condition: Brand new and good quality Color: As the picture Material: Copper Size:41*10mm Fit 8mm Beads Quantity:5pcs. Condition: Brand new and good quality Color: As the picture Material: Zinc Alloy (Lead and nickel free) Size:11*24MM, Fit 8mm Beads Quantity:5pcs. Condition: Brand new and good quality Color: As the picture Material: Zinc Alloy (Lead and nickel free) Size:26*18MM, Fit 12mm Beads Quantity:5pcs. Material: Alloy Lava Bead. Color: Silver. We will be happy to resolve any issues you may have in a cordial and friendly manner. Otherwise deal is final. All products are quality checked. >>>Italy and Brazil (because of strict custom inspection). Condition: Brand new and good quality Color: Copper Material: Copper Size:3CM, Fit 8mm Beads Quantity:5PC. 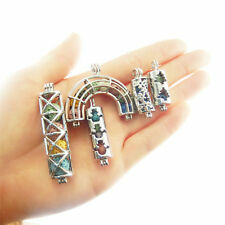 Size: 39x27mm,Fit a 6mm Bead(Approx). Material: Alloy. Color: Silver. We will be happy to resolve any issues you may have in a cordial and friendly manner. Otherwise deal is final. All products are quality checked. 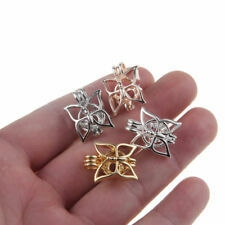 Condition: Brand new and good quality Color: As the picture Material: Copper Size:24mm Fit 8mm Beads Quantity:5PC. Material:Zinc Alloy. Otherwise deal is final. Color:White K Silver. Size:27 16mm(fit for 8mm beads). All products are quality checked. We will be happy to resolve any issues you may have in a cordial and friendly manner. Material: Alloy Lava Bead. Size: 21x15mm,Fit a 6mm Bead(Approx). Color: Silver. We will be happy to resolve any issues you may have in a cordial and friendly manner. Otherwise deal is final. All products are quality checked. 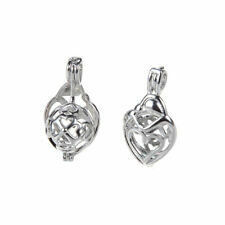 Size: 28x15mm,Fit a 6mm Bead(Approx). Color: Silver. We will be happy to resolve any issues you may have in a cordial and friendly manner. Otherwise deal is final. All products are quality checked. Size: 23x23mm,Fit a 6mm Bead(Approx). Material: Alloy. Color: Silver. We will be happy to resolve any issues you may have in a cordial and friendly manner. Otherwise deal is final. All products are quality checked. Condition: Brand New and Good Quality Color: As the picture Material: Alloy Size: 25*18mm Inner Diameter: 12*14mm Quantity:10pcs. Condition: Brand new and good quality Color: As the picture Material: Zinc Alloy (Lead and nickel free) Size:14*10MM, Fit Beads:8mm Quantity:5pcs. Material:Zinc Alloy. Color:White K Silver. Otherwise deal is final. We will be happy to resolve any issues you may have in a cordial and friendly manner. All products are quality checked. >>>Italy and Brazil (because of strict custom inspection). Material: Alloy. Otherwise deal is final. Color: Silver. Product Overview. We will be happy to resolve any issues you may have in a cordial and friendly manner. >>>United Kingdom, United States and Canada. Condition: brand new and high quality Material: alloy Item type: Pendant Out size: 24*16mm Ball Inner diameter: 13*11mm Quantity: 1pcs Color: Silver. We will be happy to resolve any issues you may have in a cordial and friendly manner. All products are quality checked. Color:As shown. Otherwise deal is final. Size:22x19x10mm(approx.). >>>Italy and Brazil (because of strict custom inspection). Condition: Brand new and good quality Color: As the picture Material: Zinc Alloy (Lead and nickel free) Size:13*26mm, Fit 8mm Beads Quantity:5pcs. Otherwise deal is final. All products are quality checked. We will be happy to resolve any issues you may have in a cordial and friendly manner. >>>Italy and Brazil (because of strict custom inspection). Material: Alloy Lava Bead. Size: 25x19mm,fit 1 x 10mm bead. >>>Australia, South East Asia and Asia. Color: Silver. We will be happy to resolve any issues you may have in a cordial and friendly manner. 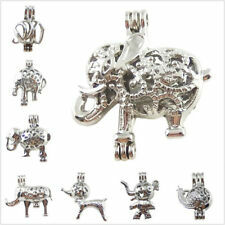 Material:Zinc Alloy. Color:White K Silver. Otherwise deal is final. Size:29 27mm(fit for 8mm beads). All products are quality checked. We will be happy to resolve any issues you may have in a cordial and friendly manner. Material:Zinc Alloy. Otherwise deal is final. We will be happy to resolve any issues you may have in a cordial and friendly manner. Size:30 15mm(fit for 8mm beads). Color:White K. >>>Italy and Brazil (because of strict custom inspection). Material:Zinc Alloy. Color:White K/Black. Otherwise deal is final. Size:33 19mm(fit for 8mm beads). All products are quality checked. We will be happy to resolve any issues you may have in a cordial and friendly manner. 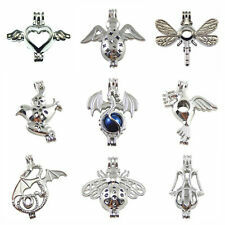 Elegant square cage locket shapes design DIY jewelry charms. - Can put Pearl ,crystal, lava beads, woolen balls and other beads (maximum 12mm) into the bead cage, to make necklaces, bracelets, earrings and other unique crafts. 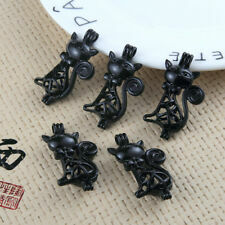 Size: 37x11mm,Fit a 6mm Bead(Approx). Material: Alloy. Color: Silver. Otherwise deal is final. All products are quality checked. We will be happy to resolve any issues you may have in a cordial and friendly manner. Material: Alloy. Color: Silver. We will be happy to resolve any issues you may have in a cordial and friendly manner. Otherwise deal is final. >>>Italy and Brazil (because of strict custom inspection). Material: Alloy Lava Bead. Color: Silver. Otherwise deal is final. Size: 47x19mm,fit 3x 8mm beads. All products are quality checked. We will be happy to resolve any issues you may have in a cordial and friendly manner. Material:Zinc Alloy. Color:As shown. Size:As shown(approx.). Condition: Brand new and good quality Color: As the picture Material: Zinc Alloy (Lead and nickel free) Size:40*10*10mm Fit 8mm Beads Quantity:5PCS.